New From DINKLES. 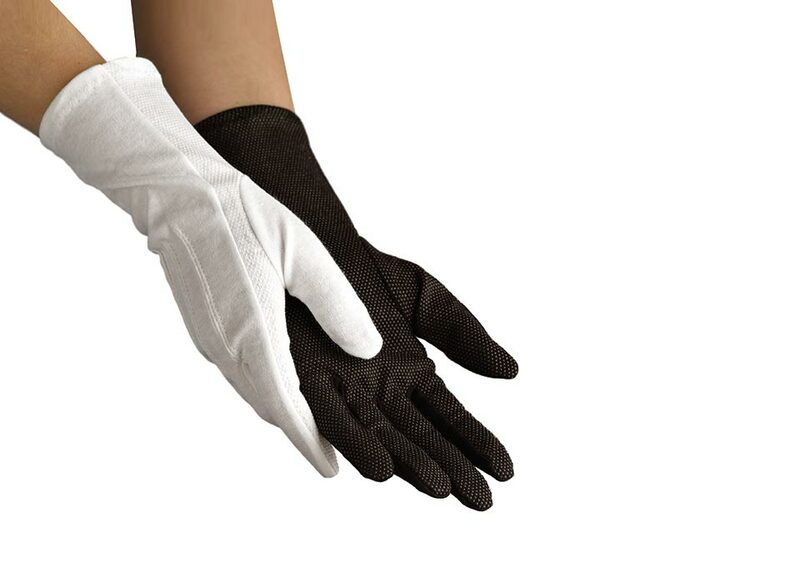 All cotton with rubberized non-slip dots on the palms for extra grip on rifles, flags and instruments. Washable, extra-long to keep wrist covered, military style ribbed backs.